Welcoming Cape Cod located in the coveted Edgecliff neighborhood. Deceiving from the exterior, you will be surprised by the generous size of this home. The kitchen is loaded with cabinets and countertop space, has an eat-in area and all the appliances stay. This 3 bedroom, 3 bath home is ready for a new owner. The wood burning fireplace in the family room has an updated stainless-steel liner. Convenient foyer with ceramic flooring and a coat closet. An inviting all season room is off the dining room. Much character and charm throughout, cove ceilings on the first floor, built-in nooks and wrought iron railings. The angled ceilings on the second floor create drama and ambiance. Large second floor full bath. The many windows create a bright and cheery atmosphere. Storage galore. The basement consists of a workroom, a toilet and sink, large laundry room with a washer and dryer, and a finished rec room for your entertaining. The backyard has a full privacy fence and a stone patio area. Two car garage. HMS home warranty. 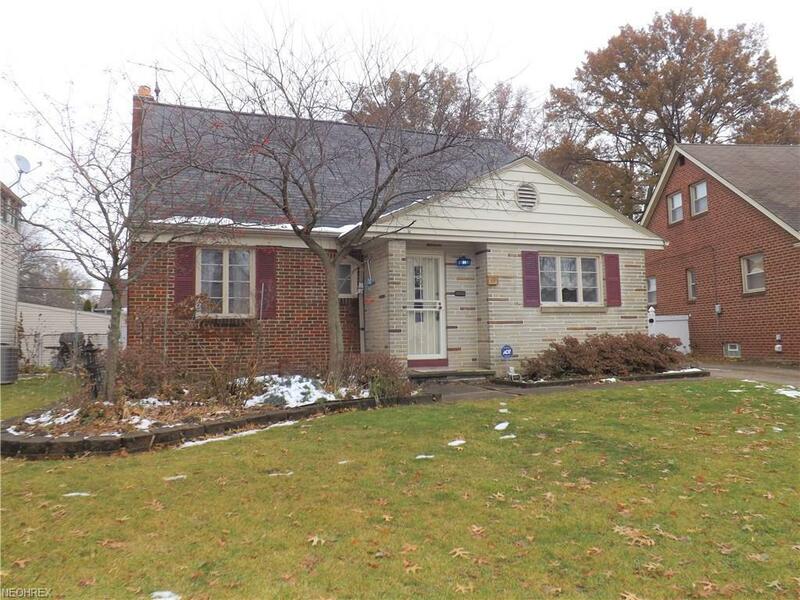 Great location, close to I-90, downtown, Kammâs Corner and Warren Village.